One thing is true no matter how old are you are: The night is dark and full of terrors. When you’re older you may handle it better (or not) but when you’re a kid, you might need a little help conquering your fear. The Take With You Nightlight Orbs is a portable nightlight that you can take with you on your late night trips to the bathroom. 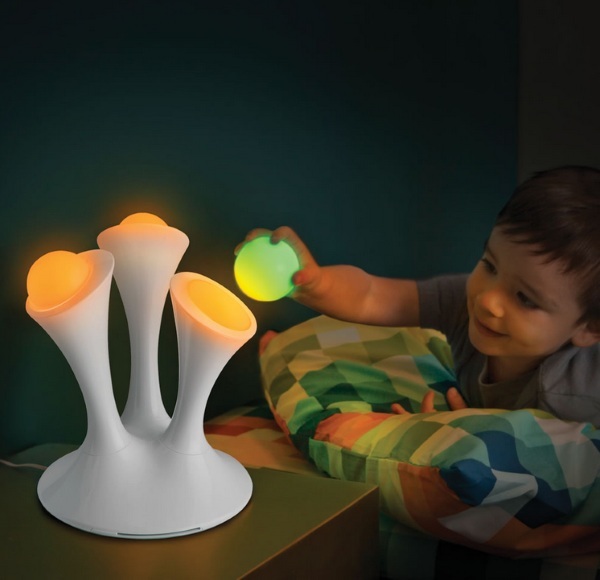 The nightlight is made up of three stalks topped with glowing orbs. The orbs are made of plastic and a good size for smaller hands. They glow in a variety of different colors and the stalk continues to shine even after the ball is removed. The ball will glow off the stalk for a full half hour before fading slowly. You can choose the color you want on the nightlight or you can just let it go full rainbow to set a relaxing feeling for the night. You can even turn the base off if you would prefer darkness. 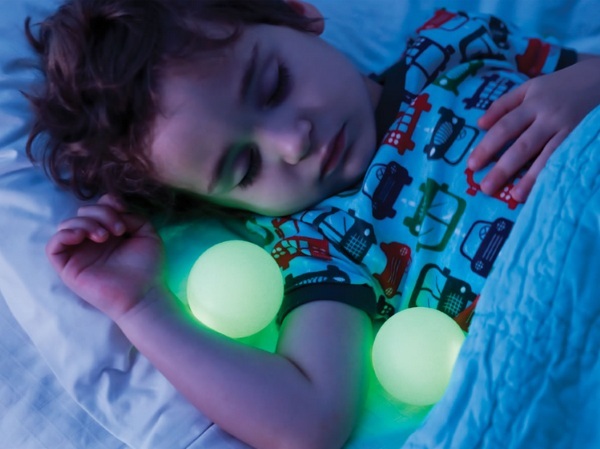 This is a colorful and safe nightlight that helps the evening go a bit more smoothly. Designed for children but perfect for adults too. The Take With You Nightlight Orbs is $79.95.